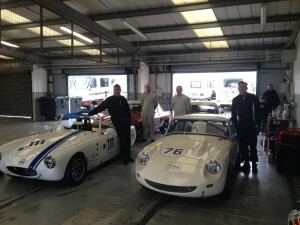 They say racing improves the breed,and here at Midland Classic Restorations we are heavily involved in motorsport. With many years of both preparing and competing, we have an intimate knowledge of what it takes to win races and championships. A visit to Midland Classic Restorations will often see all sorts of racing cars being worked on, from pre race checks before a hill climb on a historic formula Junior, through to a bare chassis being built up into a GT endurance racer. During the Season you will see the Team out at Circuits throughout the UK from Thruxton to Oulton Park, and maybe even Knockhill. Not forgetting the Classic European circuits like Spa Francorchamps and Le Mans. 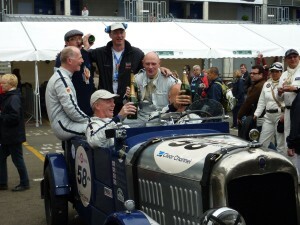 One of the Highlights every two years is the Trip to the Le Mans, with the 1932 Citroen C5. 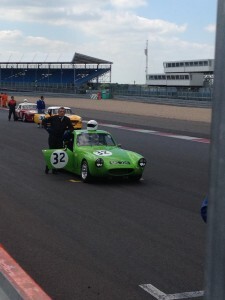 This is very different to run than the usual classic and modern racers, a distinct challenge but one the team rises to. In 2014 we brought the car home with the fastest lap and best placement for a Citroen in the History of Le Mans. As well as preparing and running the cars we can also guide you through the process from beginner to racer. Our driver development program can take you through all the steps, from getting your licence, to getting you on track and working towards those wins. 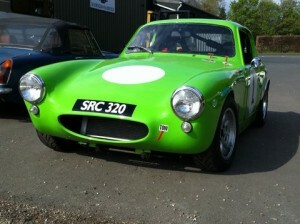 Whatever your racing needs, in both classic and modern racing Midland Classic Restorations can help. 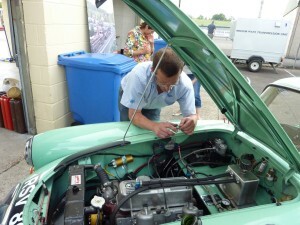 Want your car checking over before a race? No problem. 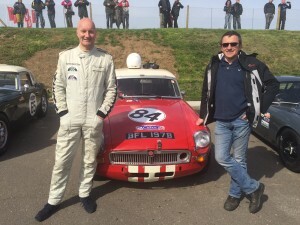 Want us to build, prepare, and run a car at a circuit with you just turning up and jumping in? Again, no problem. We can even arrange for the hire of a suitable car if you don’t own one. 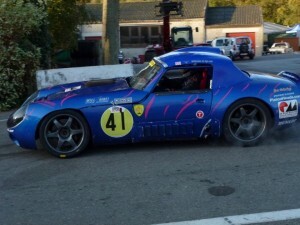 New engine went well at Spa for the Summer Classic. 2nd and 3rd in class, thanks guys made it possible. The car goes better than ever. Great fun hassling a BMW Z3m in a midget!